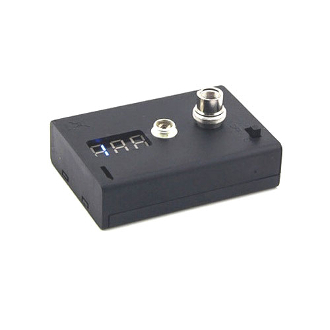 This meter is used to test ohms and voltages of your e cigarette devices. This meter provides you a way to check your ohms and to check if any of your batteries or atomizers no longer properly function. The connectors are 510 threaded, but one can use an adapter to test other models on this meter as well. relatively large in size compared to other ohm meters. This makes it great for building on!